Erstarrung investigates static musical states by dramatizing of the idea of congealment and stasis. 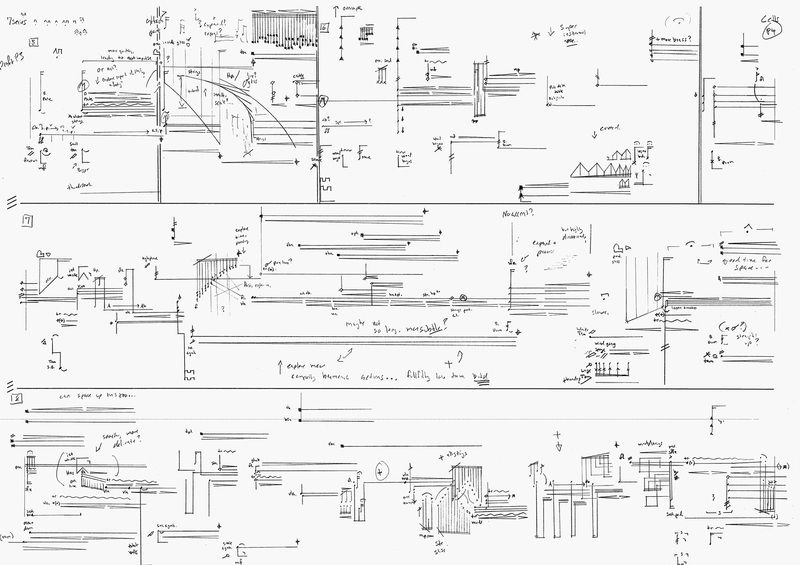 The idea for the piece comes from the title of Helmut Lachenmann's Mouvement (vor der Erstarrung). It is an apocalyptic piece, a music of dead movements, whose pseudo activity is slowly drained. I began to wonder if the premise could be turned in on itself, whether a congealed state could become something active, and whether life could start afresh from vacuous energy.In the course of conceiving a piece about static states, my creative process itself felt like it had become frozen. The project presented a number of paradoxes: to represent immobility with quiescent material is uninteresting. I realized that the most powerful way to explore an idea sometimes includes the things and qualities that it is not as well as that which it is. The result is a piece where contrasting sonic identities intersect, combine, and dissolve into one another to create new musical situations. In this way, a limited number of ideas are repeated in combinations that are always new. Energy is driven forward in the hopes of overcoming musical entropy though it is ultimately in vain; the process of congealment is destined to overcome the music.